The life science industry in California is booming and is one of the leading employers in the state. According to the California Life Sciences Institute (CLSI), the industry has created jobs for over 280,000 professionals from Redding in the north to San Diego in the south. Specifically in the San Francisco Bay Area, the City of South San Francisco is known as the "birthplace of biotechnology" and is home to some of the world's leading biotechnology companies. The city is the epicenter of Stanford, UCSF & UC Berkeley research scientists and graduates. "The City of South San Francisco is the largest biotech center in the world. 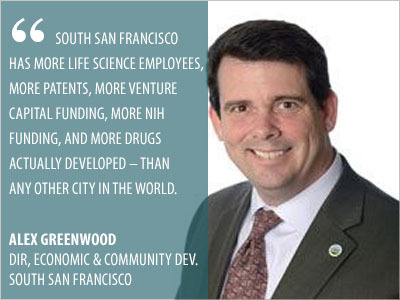 SSF has more life science employees, more patents, more Venture Capital funding, more NIH funding, and more drugs actually developed – than any other city in the world," Alex Greenwood, Director of Economic & Community Development told BioSpace. "The City of South San Francisco has 11 million sq. ft. of biotech space, and there is an additional 6.2 million sq. ft. being built over the next 3-4 years. In addition to worldwide biotech (Genentech, Amgen, Thermo Fisher, Theravance, etc.) and pharma (Johnson & Johnson, Pfizer, etc. ), South San Francisco also has the most dynamic, robust ecosystem of biotech start-ups in the world, as well as two Google-owned life science firms (Calico and Verily)." CLSI recently collaborated with the Biocom Institute to analyze data sets from 2015 and first quarter 2016, interviews with more than 30 life science employers, survey responses from nearly 250 hiring managers and HR professionals, and over 16,000 life science job postings. They released the resulting workforce trends report in June. 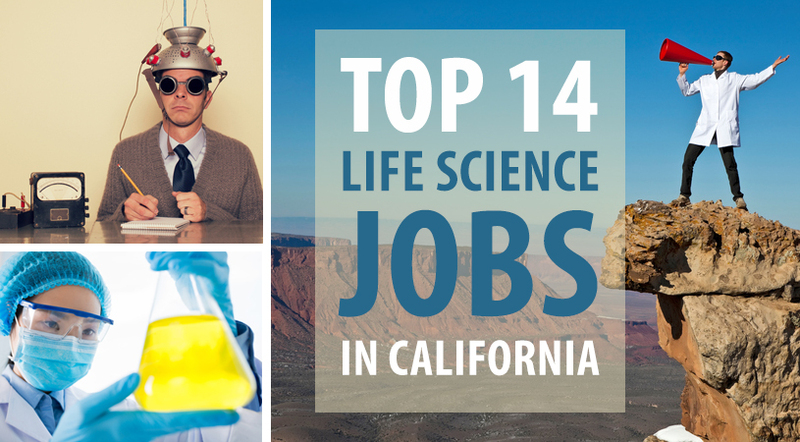 Among their findings were California’s 14 most in-demand life science jobs. Below, you can view a table of these positions along with a few corresponding job titles at the entry level and national average salary ranges. Salary is always influenced by a number of factors. These include the industry, the size of the company, the geographic location of the company, the employee’s degree level and years of experience. This usually means that even if you start in a lower-paying role in your field as a new grad, your earnings will naturally increase as the years go by. Larger pay gains can often be made by moving from a smaller to larger employer and from smaller cities to life science hotbeds. Salary negotiation can also increase your annual earnings—whether you use negotiation tactics as a job seeker or a full-fledged employee. Unfortunately, many workers don’t bother—even though one survey found that 84 percent of employers actually expect job seekers to negotiate salary during the interview process and zero percent say they’ve ever fired an existing employee for asking for a raise. 1. Let the employer bring up the topic of compensation. He’ll do so at the time he considers appropriate—most often after the final interview—And you can begin negotiations then. Ask about salary before that point and you risk coming off as more interested in the pay than the job. 2. Be gracious about every offer. Even if the employer’s initial salary offer seems insultingly low, it’s best to act appreciatively. Express your pleasure in the offer and excitement for the opportunity before you ask for more. 3. Ask for time to consider it. Unless you’ve just received an ideal offer and cannot imagine earning a penny more, don’t accept it immediately. Ask for a few days to review the offer details in writing. 4. Spend that time doing research. There are many tools online you can use to research salaries for similar positions. Some allow you to dig deeper by filtering results for location and company size as well as your degree and level of experience. You’ll need this data to craft a counteroffer. 5. Consider benefits as well. Vacation time, personal time, employer-subsidized health insurance, tuition reimbursement, student loan repayment and other benefits count towards the total value of the compensation package you’re offered. 6. Make a reasonable counteroffer. Using the comparable job data you’ve gathered and what you know about the company and the duties of the position, justify your request for a higher salary. You can be ambitious, but temper that ambition with realism and err on the side of caution. It’s better to ask for a smaller amount now and a raise later than to ask for too much and end with nothing. *Salary data from Salary.com and the Bureau of Labor Statistics. Data covers the entire occupation or a specific group within the occupation. Check out the latest Career Insider eNewsletter - July 14, 2016. Sign up for the free bi-weekly Career Insider eNewsletter.